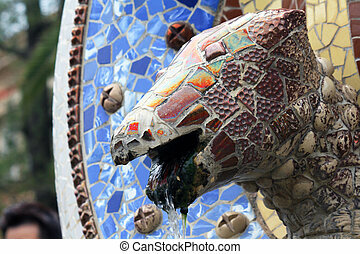 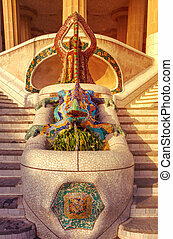 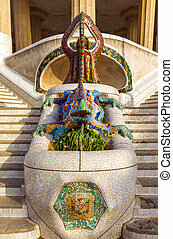 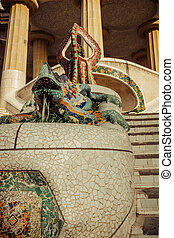 Lizard fountain at park guell in barcelona - spain. 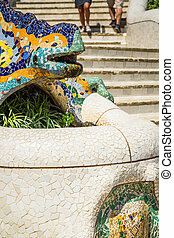 Detail of famous Gaudi the longest bench. 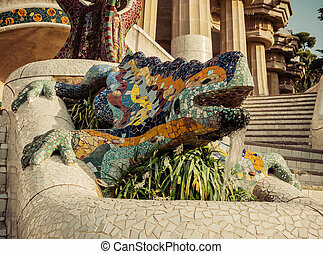 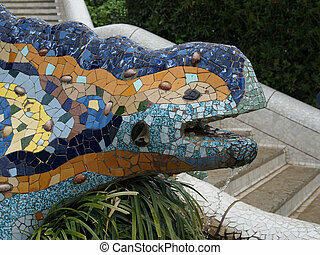 Lizard mosaic in Park Guell in Barcelona, Spain. 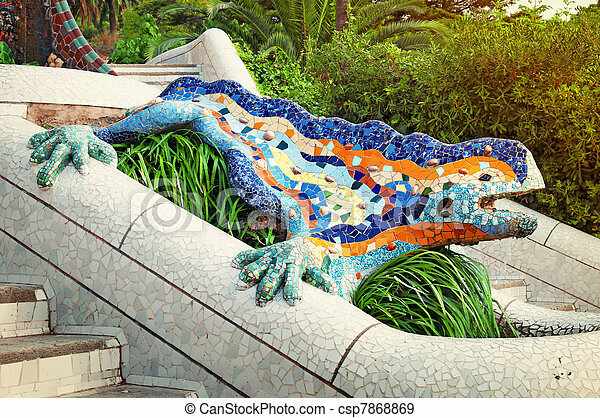 lizard in park Guell, Barcelona, Spain. 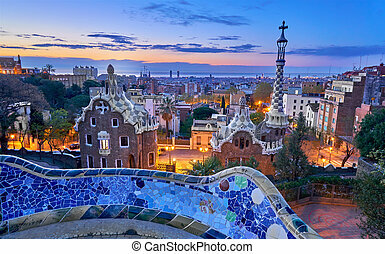 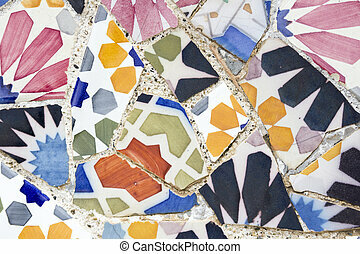 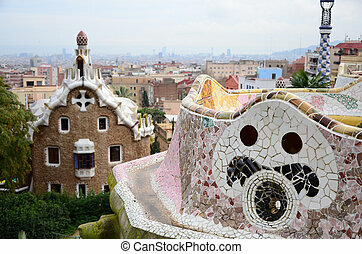 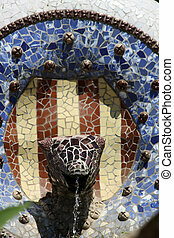 Mosaic at the Parc Guell designed by Antoni Gaudi located on Carmel Hill, Barcelona, Spain. 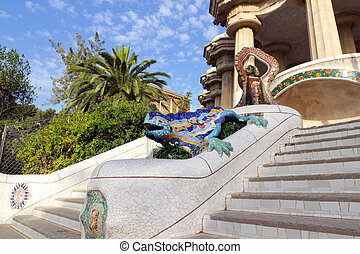 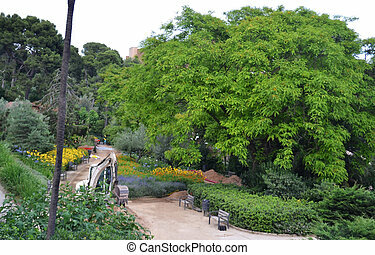 Park Guell in Barcelona at summer, Spain. 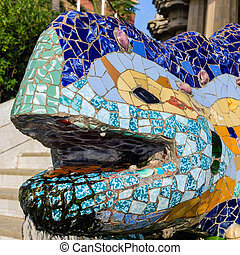 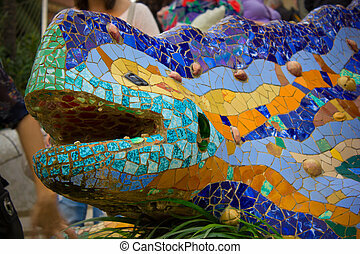 Mosaic head lizard, salamander in the park Guell in Barcelona - Spain.